Back in Germany after 3½ days in the Kingdom of Bahrain. During my time there, I managed to squeeze in back-to-back fight events and have a grand old time with Team Omer before, during and after his fight at Brave 9: The Kingdom of Champions. Alan came into the fight very well-prepared, both physically and mentally, and fought a very intelligent fight against a multiple-time world champion and Brazilian Jiu-Jitsu black belt in Gesias Cavalcante. After two hotly contested rounds in which both fighters had their moments, Alan came through with a big right hand that saw “JZ” crashing to the canvas and from there he swarmed the Brazilian with a barrage of left hands from a standing gut-wrench position, forcing referee Marc Goddard to step in and stop the action. It was arguably the biggest win in Alan’s twelve-year career against a well-known, extremely dangerous and experienced champion. With his third consecutive win against top-level competition, Alan reclaims his throne as the number one lightweight in both German-speaking Europe and the Middle East. Even more importantly, he continues to grow as a martial artist and has been displaying a great maturity in his fights, staying calm even in difficult situations and never letting up in his pursuit to finish his opponents. This was made possible by the unselfish support of Alan’s coaches Alex and Franjo as well as his support team of Firat, Alex, Havraz and Daban. All of you have played an important part in Alan’s success and you can all be very proud of yourselves. Remember: Feel good, fight good! The BRAVE Combat Federation event was fantastically organized overall and I would like to congratulate His Highness Khalid Bin Hamad and his team (Shahid, Yousef, Lucas, Soto, Valeria, Gabriela, Pam, Hassan Sohaib and Lloid) on their outstanding work and excellent execution. There were so many little details you paid attention to that people who have been in the fight game for a long time greatly appreciate. 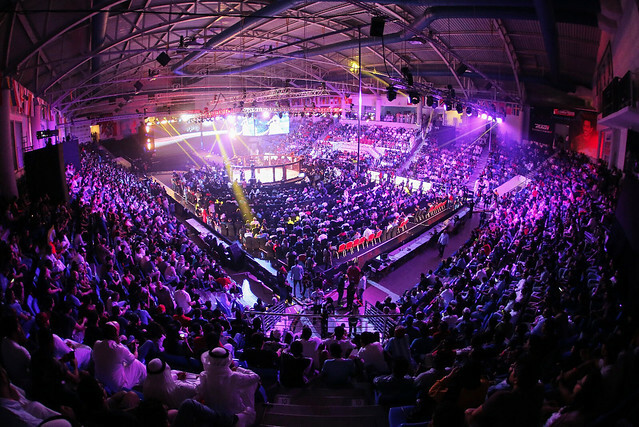 On the next day, I had the pleasure to attend the Finals of the IMMAF – International Mixed Martial Arts Federation World Championships at Tom Madsen’s invitation. Besides getting to watch the champions of tomorrow compete, I got to catch up with my longtime friends André, Christer, Gerd, Jaakko, Janne, Joni, Kenan, Stanislav and Torsten. I also finally got to meet Bertrand, Gerhard, Michael, Mohammed, Wissam and Zahi and had some great conversations! Joel and Julia – you might not have reached the top of the podium this time, but I have zero doubts both of you will have great careers and a lot of success in our sport. You can be very proud of your achievements! Unfortunately, I did not have the chance to see much of the country, but I did notice that its people are incredibly nice and kind. I hope to come back next year, hopefully with a little more time to explore. شكرا جزيلا لك ونراكم قريبا!